My first ‘Editor’s letter’, I suppose I’ll start by saying this month I made a lot of decisions and took so many risks. 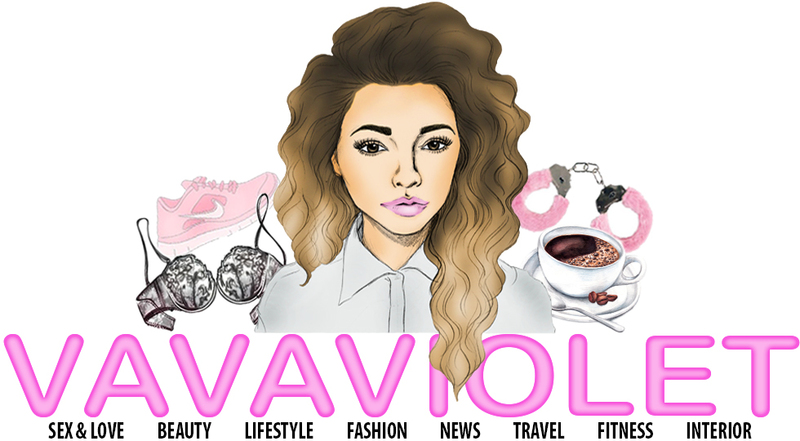 I made a lot of mistakes but some, such as launching VavaViolet as an online magazine, worked out perfectly. To be successful and happy you have to be selfish sometimes and do what's best for you. Whether that means stepping over someone to get to where you want, putting your needs first or just looking after number one. I did that a lot this month. But I didn’t have to step over anyone I just had to make a decision, whether to change VavaViolet from a personal blog to an online magazine or not. By giving up my blog I was giving up something that was mine and nobody else’s. Something I had complete control over, it was my diary, somewhere where if I was sad I could write about it, I could pour my feelings into a word document and then choose whether to upload it or not. I choose to let that go and transform my once little site into an online platform that I share with four other women. So why did I let something so precious to me go? I haven’t entirely. Magazines feature Editor’s letters so that you can connect with the Editor, learn about them, and feel a connection with a bit of paper or a website. And that’s exactly what I’m going to do once a month. As I wrote in our welcome post (read it here) I want VavaViolet to be a place that feels like home to you, I want you to know me and my team like we’re your friends, not just journalists shoving articles down your throat. Each month we’ll reflect on the month, I’ll share my favourite products just like I used to and we’ll discuss things like how my month was made by Chrissy Teigen basically making Donald Trump cry. Carry on reading for my favourites this month and let me know what you’ve been up to in the comments! I fell out of love with makeup for a very long time but looking back I think it was more the fact that I got too busy and it was just easier to chuck on the same concealer and mascara every single day. I forgot how much I loved playing around with it and trying out new products. Until the start of July when I did a bit of shopping and fell madly in love again. I picked up this Pokemon highlighter from Amazon because well, the packaging was so bloody cute but surprisingly it's actually quite good. I use it on my cheekbones and the pigment is good without being too much. It lasts all day and night and the packaging is cute (did I already mention that?). While out shopping I wandered into Lush and after being hit in the face by about 4,000 different scents and saying 'I'm okay' to about 10 employees asking if I needed any help I came across this Chocolate lip scrub that I had never seen in there before. I've used the popcorn flavour for years and it is to die for so I just had to try a chocolate one. It works amazingly well and always without fail sorts out my crusty arse lips and leaves them looking smooth. It also tastes really good. As long as my hair is big and full of volume I'm content. I've been using the Bumble and Bumble Pret-a-Powder for years now and carrying around the large size in my handbag until I realised they did this mini and I mean tiny bottle. I know, it's been out for ages but my head is in the clouds. This stuff works as a dry shampoo and a volumiser. Any bit of grease that is lurking in your roots will be gone after using this. Just make sure you really rub it in otherwise it's white consistency can make you look about 90 years old. I picked up Nars Radiant Creamy Concealer at the beginning of the month and oh my, why didn't I pick it up sooner? It makes me look like I've had about 60 hours sleep and there's not a dark under eye in sight. I picked up two, one to use under my eyes and one to use to cover up blemishes. I decided to get mini ones that were £12 each (from Space NK) so I could decide if I liked them before spending over £20 on a concealer when I'm used to spending £4.10 on my trusty Collection one. I have majorly got into my fitness in the last two months. I joined Slimming World, I've been eating healthy, cycling to work every day and doing my research on what's good for my body. I never ever thought I'd be one of those girls that got into fitness but I actually really enjoy it. I've still got a long way to go until I hit my goal weight (two stone to be precise) but I'm starting to have more energy and a flatter stomach is starting to emerge. But I hate eating breakfast. I have to force feed myself because I just can't bear eating in the morning even if it's an hour after I've woken up. So a friend told me to try out a weight loss shake, I opted for this Cute Nutrition chocolate flavour and oh my god, it tastes amazing! Unlike many girls, I'm sadly not being paid to say this. I can drink it straight after I've woken up and it fills me up until about 1pm/2pm. I've completely cut out having snacks now and I think having breakfast each morning is down to that. I'm not an expert, there are 100s of detailed reviews on this shake online that you can check out for facts and figures but for me personally, I have continued to lose weight while drinking this each morning. But keep in mind I am following a Slimming World diet and exercising every single day. Lastly but not least, this lipstick that my mother said looks like poo smeared across my lips. I think it brings out my eyes lol and it lasts all day and I mean that. I can eat, drink, sleep, rave in it, everything. I use to just chuck lipstick on but now I actually spend the time to perfect it and get those smooth lines. It makes a world of difference.